Ever since the narrative choice-based game, Lifeline, became a huge hit, a lot of developers have tried to do their own spin on the formula. The idea is that someone contacts you from another smartphone or smartphone-like device and asks for your help. For some reason, you’re the only person who can aid them. So, from the comfort and safety of your couch, you make life-and-death decisions for them and then they report back on how it turned out. It’s a compelling idea when done right. But it also means that a lot depends on the writing and cheesy dialogue, a confusing story or bad translation can derail the entire experience. There have been a number of narrative games that started out great but completely fell apart somewhere along the way. The recent Powerless comes to mind, as does One Button Travel. Both games started off very promising, but completely unraveled the deeper I got. Unfortunately, the same thing happened with Chroniric XIX. I wanted to love it, but ultimately I found it very disappointing. Presentation-wise, Chroniric XIX hit it out of the park. Going in, everything seems very polished. 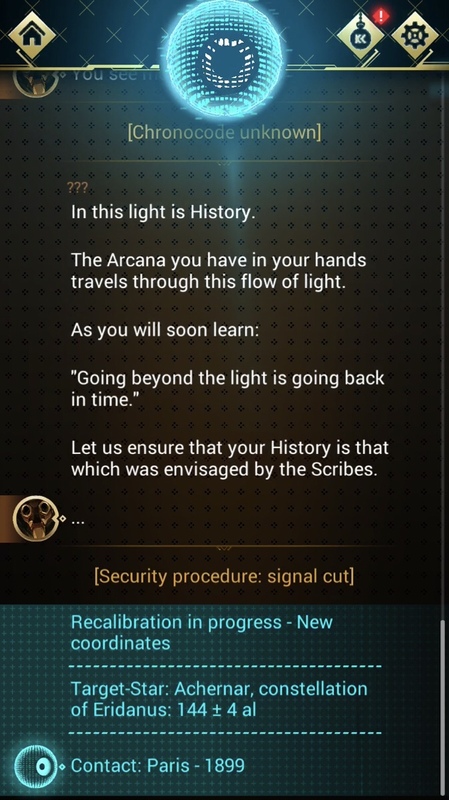 Your iPhone’s screen represents the interface of an Arcana, a device that allows you to communicate with other time periods. The mechanical eye at the top of the screen sometimes comes to life in a very impressive way. Even though the game is primarily text, you do have an inventory of items and some photos that you’ve been sent. The art style is top-notch and I got the feeling right off the bat that this wasn’t a cheap game thrown together in a few minutes. Care was taken to make it look and feel great and it helped immerse me in this world of time travel and anomalies and people trying to preserve history. The story started off a bit confusing, but it seemed to be intentional, that you were to fill in the gaps as you went along. For the most part, that worked. But I was still unclear about a lot of things by the time I finished — like what and who exactly are Echos? I know I’m one and Elisabeth, the woman I talk to for most of the game, is one as well. But I never got a clear idea what that meant. I gathered that she was Echo XIX because she’s from the nineteenth century and I was Echo XXI because I’m from the twenty-first century. I understood that our job was to preserve history, or at least the version of history that the Scribes wanted. But who exactly are these Scribes? I’m unclear on that as well. My first forty-five minutes with the game were intriguing. Despite not being completely clear on all the different terms or even what the end goal was, the mystery of it all held my attention. I liked the idea of visiting different moments in history. And while the game is light on puzzles, I did occasionally have to crack open Wikipedia to find answers for Elisabeth. I had high hopes for where the game was going. I got her killed once, but was given a second attempt and managed to save her. A lot of weird stuff happened when we went looking for her mentor, and then we went on the hunt for Buffalo Bill’s descendent. I wanted to see where all this would take me. Unfortunately, the second half of the game is where things started to fall apart and it lost me. The story got a little too convoluted and it seemed like even the author couldn’t keep up. The dialogue started to get awkward. Elizabeth would sometimes take a break when she was doing something where I wasn’t needed, but then other times she would stay on the line and talk me through every meaningless aspect of her travels. When she was trying to steal something, she talked the whole way through instead of focusing on the act. The immersion started to disintegrate. 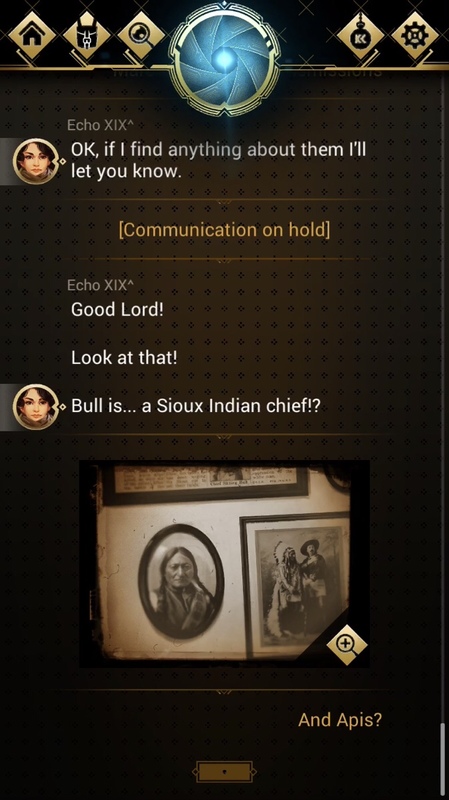 I thought maybe the text I was seeing was meant to be voice chat and I was only seeing it in text for the game. 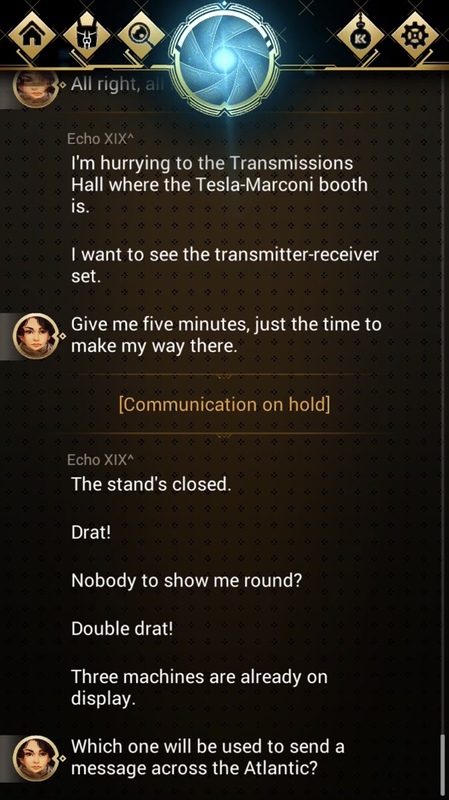 It made a little more sense that way, but then later in the game she actually turns on the Arcana’s microphone so I could hear other people around her. That means before she turned on the microphone she was indeed typing everting out to me? It didn’t seem plausible. Still, I could forgive a few odd inconsistencies if the rest of the story was compelling and could hold my attention. I could probably even forgive the typos and odd lines, like where she says things such as “gosh” or “double drat.” Maybe they spoke like that in the nineteenth century? It was a little harder to overlook the dialogue options that didn’t make sense in relation to the question asked. Or questions I asked that got ignored. These weren’t frequent enough to ruin the experience, just to tarnish it a bit. The biggest issue was that the game ended very abruptly. Elizabeth needed money to travel to New York and once she got the money, the game just ended. Considering I had something similar happen with Powerless, I’m not sure if that was actually how it ended or it was a glitch. There was an epilogue after, so it wasn’t really the end, but the epilogue only made things worse. Having gotten the premature ending, I saw the epilogue available and hoped it would clear things up. Unfortunately, the last thirty minutes of it were spent in a loop. At first, I thought the game was glitching out, but then I realized it was an intentional loop. And it wasn’t even like I chose the wrong dialogue option, as each time I restarted the loop, I was given different options. But I was never given the choice to skip the same lines I kept having to read over and over and over. By the time it finally did end, I was relieved and also wishing I could get the last two hours of my life back. I don’t see how the epilogue related to the rest of the story, as it was similarly convoluted. I certainly have no interest in playing again to try and make sense of it or get a different ending. 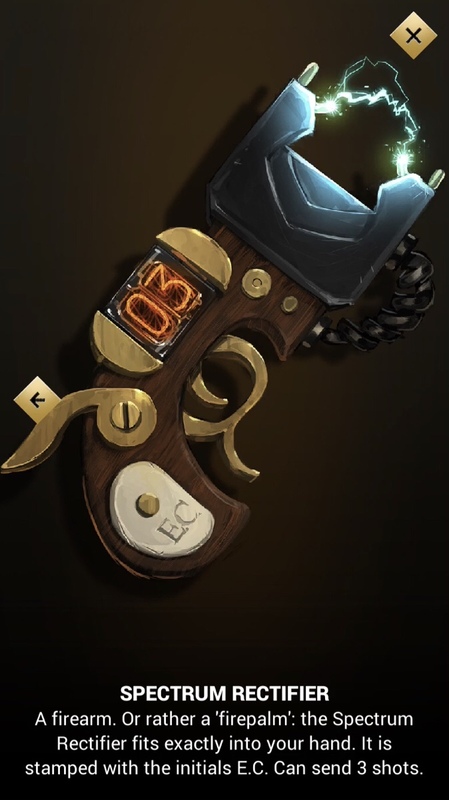 I am grateful that the game included an optional fast mode, so you don’t have to play it in real time and wait for Elizabeth to return from her breaks. I’m much more likely to forget about a game like this if it forces me to play in five minute increments. And, like I said, the presentation is top-notch. I just wish the storytelling could have lived up to its potential. The abrupt ending and repetitive epilogue nullified any enjoyment I had been getting from the game up until then. As much as I wanted to love Chroniric XIX, I can’t recommend it in its current state. But if you still want to take a chance on it, you can grab the game here. Contre Jour: New update and new Lite version. The game has been updated quickly, in the last version the prematured ending bug has been fixed.